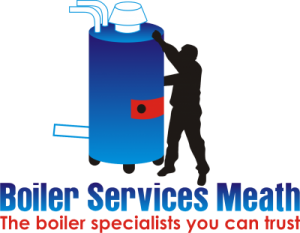 At Boiler Services Navan our staff are your local experts when it comes to boilers. We have been servicing, repairing and installing boilers throughout county Meath for in excess of 30 years now. During this period we have dealt with virtually every make, model and type of commercial and industrial boilers in the market place. If you crunch the numbers in this period there have been literally thousands of boilers produced so this is why our experience and expertise is so vital. All of our staff are highly trained, fully qualified plumbers by trade all possessing RGI accreditation. They just decided to work for us and become specialists within the boiler services industry. We always say why pay a standard plumber the same or more when you can have an industry expert in the niche you require? As we take total pride in all the work we complete Boiler Services Navan always give a 1 year parts and labor guarantee on all jobs completed. We also carry public and professional indemnity insurance so you can sleep easily in the knowledge that you are hiring a respected company that you can trust. Value for money for your boiler service, boiler repair and boiler replacement at Boiler Services Navan. We know how good our prices are as we continually check our competitors. Our standard boiler servicing rates range from €55-€85 depending on the make and model and we will always provide an RGI certificate of compliance on completion. We have no issues on providing free no obligation quotes on any work you require completing. If you have a central heating malfunction that won’t wait just call us on 046-9011255. Our team is on call 24/7-365 for exactly those situations. When you call you’ll get through to a friendly boiler technician who will try to assist over the phone. If you need use we can have someone at your property within an hour, day or night. We never charge for the call out, only for diagnosis and repair (please read our T’s & C’s here). To book your annual boiler service or for emergency repairs and free quotations call the professionals today on 046-9011255.